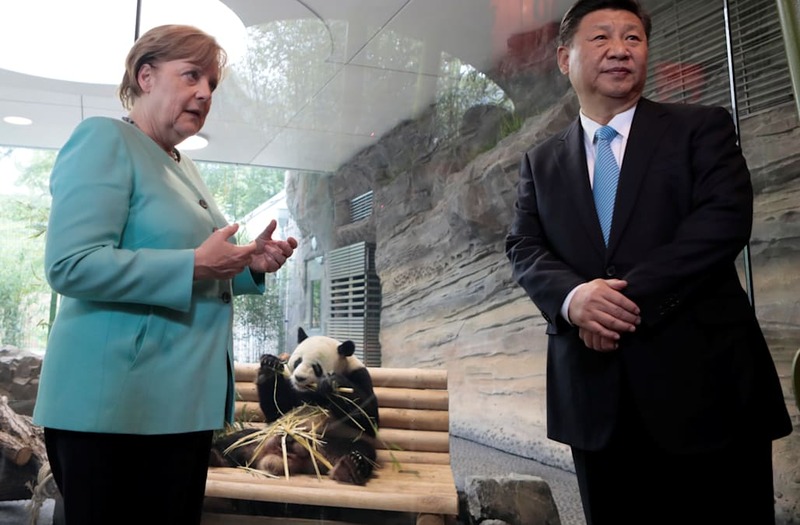 Two days before the start of the G20 summit, Chinese President Xi Jinping and German Chancellor Angela Merkel indulged in "panda diplomacy", opening a $10 million Chinese compound in Berlin Zoo for Meng Meng and Jiao Qing -- two giant pandas that China is lending to Germany as a token of friendship. President Xi said during an hour-long ceremony that Germany had expressed a wish for the pandas, to which he responded "positively." Xi's visit, a month after Chinese Premier Li Keqiang travelled to Berlin to meet Merkel, comes at an extremely sensitive time for big-power relations ahead of the G20 summit in Hamburg.